Customs unions have very specific operational features and provide very specific benefits. These benefits tend to be modest and achieve very little if one approaches trade from the perspective of maximising economic integration between two trading partners. The gulf that exists between the scope and functionality of the single market, and that of the EU Customs Union, is remarkably wide. But, what is also important to recognise is that the drawbacks of customs unions are also vastly over exaggerated. This is mostly because, as this blog has previously explored, global tariffs have seen widespread reduction thanks largely to globalisation. In their place, non-tariff measures have crept up on trade actors to pose the really noticeable threat to the international system. Countries who find themselves bound by common, harmonised tariff schedules, like the EU's member states, will experience a reduction in the independence of their trade policy. Note that this does not entail foregoing total independence, for customs unions deal only with tariffs: they construct a common external schedule and abolish quotas and duties between members. Talk of tariffs must also include rules of origin, the main obstacle eliminated by continued customs union membership. Rules of origin is the device used by exporters to prove they qualify for tariff-free preferential treatment stipulated in any relevant trade agreement with another country. Likewise, importers need to identify the exact source of a good entering their customs territory. In summary, a safe assumption can be made that any good found inside a customs union either originates within that territory or came from the outside and has filtered through the common external tariff. Checks between members of the customs union for origin are therefore not necessary, and this is where the customs union links in with the preservation of the Northern Ireland border. Here the benefits of customs unions find their end. It is often argued that while left in a customs union, members cannot make their own independent bilateral trade deals, but this is not technically true. To placate the hard Leavers angry at the prospect of a comprehensive customs union with the EU I like to make the point that various other trade agreements are possible. Because we are only removing tariffs from the equation, other elements of trade policy are left broadly untouched. Agreements covering services, customs cooperation, some non-tariff measures and facets of mutual recognition can still be dealt with. This does not sound like much but in essence trade oughtn't be steered by what media and politicians find politically entertaining. It is a specialised branch of statecraft as well as an important tenet of foreign and economic policy. Trade is not simple and the UK will need to re-learn it as a distinct customs entity. And so relearning trade begins, as with anything else, with establishing the facts. What is not possible in a comprehensive customs union with the EU is to retain a say in the direction and rulemaking of the customs union, especially with regard to negotiating tariff reductions for implementation within preferential trade agreements. This is for the birds and totally negates any close inspection of existing customs union models. The most useful template with which to work would probably be Turkey, a third country which negotiated a distinct, bilateral customs union with the EU in December 1995. The customs union does not fully replicate the EU version; it doesn't include agriculture, coal and steel products or public procurement, and as such it is incomplete. But that does not mean we cannot learn lessons from it. Turkey's arrangement with the EU leaves it in a sub-optimal position from a negotiating perspective on several fronts. Firstly, the usual gravity models of trade apply and Turkey simply cannot outweigh the influence and size of its customs union partner. The EU in tandem will not tolerate any compromising of the integrity of its internal market, so the customs union offered will extend EU terms to Turkey and not the other way around. To me it should not matter that the UK is a larger economy. It is a former member and precedents must be set. Any UK manipulation of the common external tariff forces the EU into a position where parts of the single market are left vulnerable to backdoor circumvention and this very real prospect will govern much of the EU's attitude towards any future customs union with the UK. This should not come as any surprise. Regulatory superpowers get their way and this is something the UK will need to face up to post-Brexit. Turkey has no practical involvement in setting the agenda(s) of the external tariff or of the Common Commercial Policy, ensuring it trails behind the EU in all of its subsequent trade negotiations and any conclusions of agreements. Secondly, in the event of the EU securing an FTA which provides for tariff reduction, like with Canada or Japan, Turkey is required to automatically apply the concessions unilaterally and seek the necessary reciprocity afterwards, with no Treaty guarantees of reciprocity in the works. It is here where a somewhat bleaker picture of things can be painted. The UK would not have the right to demand liberalising reciprocity from any EU FTA partners. Interestingly, the customs union agreement does provide some space for trade remedies between Turkey and the EU. Turkey can fight back if it feels an imported products are causing undue or disproportionate harm to its domestic industry, but this privilege is also granted to the Commission. According to the World Bank, "Decision 1/95 allows both Turkey and the EU to retain their rights to initiate, investigate and impose TDIs in cases of import surges in both their bilateral trade and trade with third countries." By TDIs we mean trade defence instruments. Types of defence might include anti-dumping measures or emergency countervailing duties. Any comprehensive customs union between the UK and EU would likely also make use of trade defences, but this would be the extent of any unilateral powers granted to the UK and no amount of Labour Party posturing will change this. In more general terms, though, Labour need to be clearer about what exactly a customs union with the EU can achieve. Corbyn talks lazily of protecting 'free and frictionless trade', but as I have been at pains to point out at this blog, customs unions do not get us anywhere near this line. 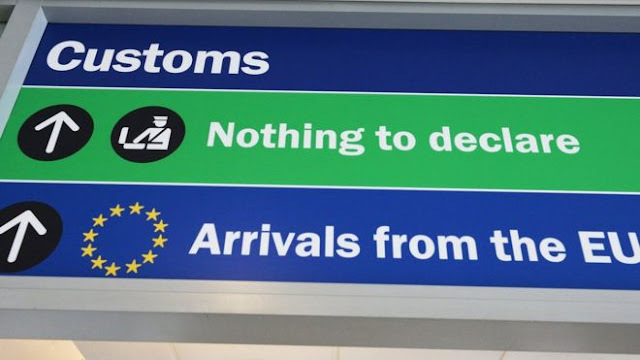 If Labour were to come out for the single market I'd be all for it, but any pretence that a customs union removes the need for border friction is intellectual dishonesty of the highest order. Thanks for the article. Apologies for going off topic but maybe you could answer this puzzle for me which relates to FOM. Is there any difference in the application of FOM between the EEA countries and EU members? Are the principles and rules the same? I have heard several politicians who favour the Common Market 2.0 approach ( effectively Norway Plus) refer to FOM as ‘movement of labour’ indicating movement can only occur if there is a job on offer in the UK and therefore implying a more stricter form of movement. Is this case? Also ‘the emergency break’ is often cited as a benefit of EEA membership due to it being an additional control over immigration but is this a realistic control lever? Or, as I fear, is political spin being used to make the Common Market 2.0 more palatable to those who have FOM/immigration concerns? I saw you on the James O'Brien show and I just wanted to say how impressed I was by your integrity, your knowledge, and your tone. I am a Remain voter who has been horrified by the iconoclasm of Leave and has wanted to hear a 'soft Leave' position that didn't sound strident, triumphalist or, frankly, unpleasant. Yours sounded as good as anybody I have heard on either side: considered and balanced. I also just watched your interview by James O'Brien, and was relieved to find I'm not the only one who thinks like this. I originally supported a leave vote as I thought it would be a way to get the EU to recognise that free movement of labour has had undesirable social impacts. However I changed sides before the referendum because a) a lot of the 'leave' argument was clearly false, so I became wary of any rhetoric from that side, b) it became clear to me that the only achievable Brexit would have to be very soft and slow, and we'd end up losing control (influence in the EU) rather than taking it back, while still being heavily tied to European economics, and c) that the UK issues with labour movement were down to short-sided UK government policies over decades, which has forced UK manufacturing to reduce labour costs in order to compete. The EU is not at fault for this. In fact, the UK could have taken more measures to control free movement, but preferred instead to prop up its failing manufacturing industry with this short-sighted fix, instead of doing things properly. I became suspicious about who was supporting leave, and what their motives actually were. The cakeism was very apparent, and mutually exclusive. How could we take advantage of emerging markets when our export goods are priced way beyond their means? If we turned our back on globalisation, we'd be poorer in wealth but arguably richer in spirit, more dependent on home-grown products, but how would we afford them? Such a strategy would just feed more inequality into our society. I have some sympathy for what my leave voting friends have said, that things have become too complex, and that government is too far away and doesn't listen, but I disagree with them that the EU is responsible for this, or that leaving will fix it. Yeah, it's so simple, dunno what the confusion is about? I say this ironically of course, anyone who thinks this is simple obviously has a higher ego than IQ.